Term 1 finishes on Friday 13 April, Term 2 starts Monday 30 April. Classes will continue through the holiday on Mondays and Thursdays 5pm – 5:50pm. The training fee for the two week holiday is covered by the $90 term rate. The first two classes are free if you are new and want to try out. We are pleased to announce the addition of junior classes to our training schedule, starting in October on every Monday and Thursday 5:00-5:50pm. Please contact us if you need further information or view our timetable here. 9am – 2:30pm Saturday & 9am – 2:30pm Sunday. There won’t be a lunch break, instead we will be taking short breaks in between sessions. Please be on time and ready on the mat by 9am. The examination is only a small part of the seminar. Everyone is welcome to attend the seminar whether you are grading or not. Please note, there is a seminar attendance fee and a separate grading examination fee. As always there will be a proficiency test before grading. 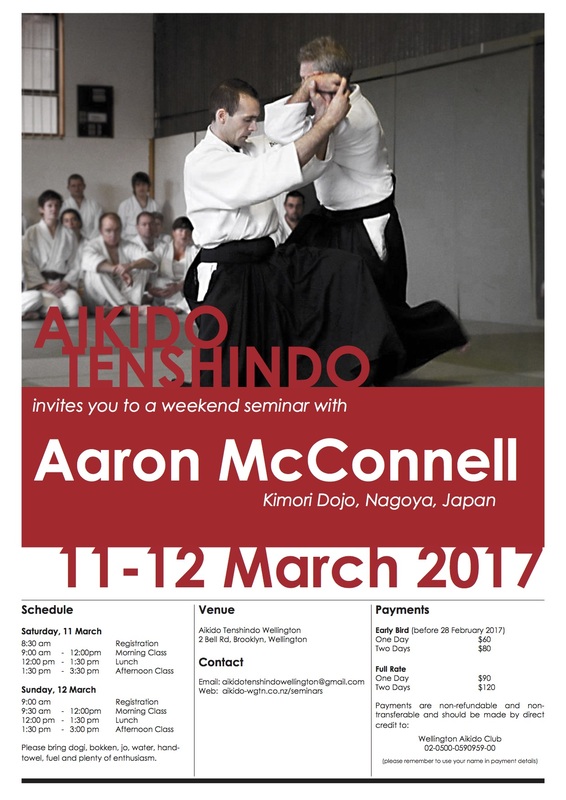 Once you have been approved to grade you will need to register & pay online via the Auckland Shinryukan website. Please ensure you have paid your annual membership fee before registering. Please complete the Grading application form if you are invited to grade and pay your fees one week before grading day at the latest!